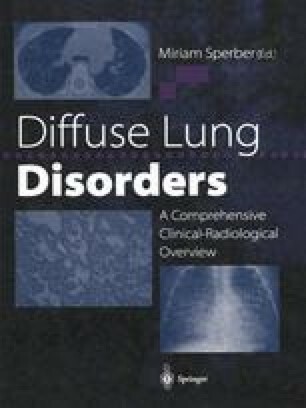 Plain radiographs of the thorax remain a valuable diagnostic tool in the initial evaluation of patients with diffuse lung disorders [1,2,3]. They are routinely obtained with the patient in an erect position, with fully suspended respiration, preferably at total lung capacity and with an exposure duration of less than 0.05. The film to anode distance should normally be 1.8 m.